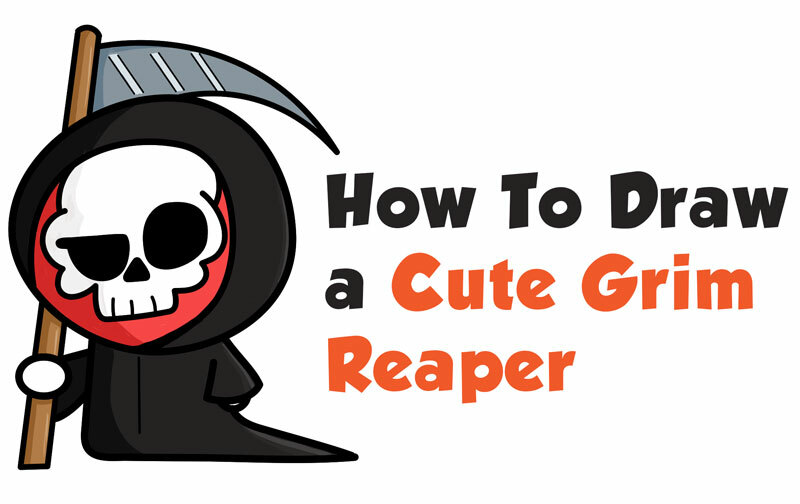 Today I'll show you how to draw a cute Grim Reaper in a chibi style. It is super easy to learn how to draw. We have broken down the tutorial into 19 steps to make it super simple to follow along with. This lesson is great for Halloween time.